Before a hula student graduates and becomes a kumu hula, he or she must go through the protocols of ‘ūniki. In 1971, the same year the hula competition began at the Merrie Monarch Festival, a special ‘ūniki class was formed—one that has shaped the modern hula world. For this story, MANA was honored to get a glimpse into this private and cherished tradition of ‘ūniki. A true study of hula demands total participation of mind, body and spirit. It is not available in books or videos, although there are plenty of both. It requires shivering shoulders standing in cold Waimea rain to feel the lyrics of a mele; rough hands from scraping and sand-polishing an ipu gourd; a hoarse throat from practicing a 100-line oli; sore legs from interminable ‘uwehe and tears from weariness, from discipline or from the first joyful breakthrough. An ancient hula protocol, ‘ūniki can incorporate years of preparation, as students learn not only to chant and dance, but to craft their own rhythm instruments, lei and costumes. Only the most dedicated hula student is chosen to make the transition via ‘ūniki to ‘ōlapa (dancer), ho‘opa‘a (senior chanter) or kumu hula. The ceremonies themselves vary widely from kumu to kumu and hālau to hālau, but common elements might include fasting, bathing in the ocean, intensive rehearsals and sharing ‘ai lolo or ‘aha‘aina ‘ūniki, a ritual meal of a roasted suckling pig, followed by a performance in front of hula experts to evaluate the student’s readiness. ‘ūniki ceremony in August 2014. Photo by Kapulani Landgraf. All rights reserved. As with many other Hawaiian traditions, ‘ūniki nearly fell into oblivion in the 19th century, as more and more practitioners went underground to safeguard ancient knowledge from outside influences—most notably Christian missionaries from America. And while King Kalākaua, the original “Merrie Monarch,” renewed enthusiasm for hula, it wasn’t until the mid-20th century that modern disciples like Mary Kawena Pukui, who’s authored many books on Hawaiian language, took on the epic task of salvaging knowledge and reviving practices. For hula, Margaret Māiki Souza Aiu Lake led the charge. 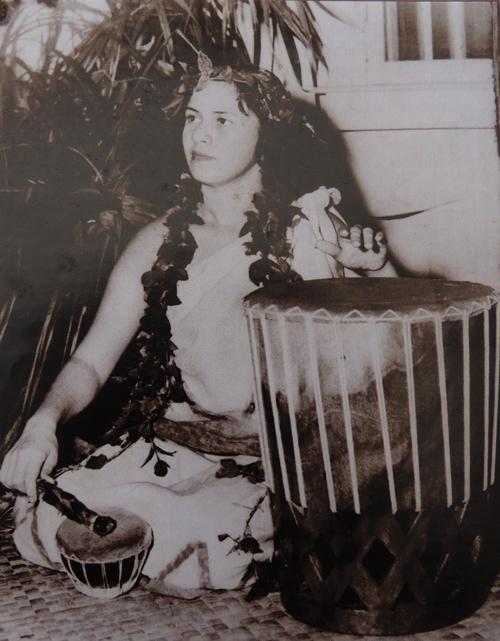 Māiki Aiu performs during her 1948 ‘ūniki ceremony with a pahu drum made by Timothy Montgomery, which she lovingly referred to as “My Baby Maiki.” The famed pahu disappeared from the Royal Hawaiian Hotel during the Aloha Week Festivities in the 1950s. Photo courtesy: Coline Aiu; originally published in “Hula is Life” written by Rita Ariyoshi. All rights reserved. third- and now fourth-generation kumu, instigated a peaceful yet powerful revolution, inspiring young people to demand authentic teaching of hula, language and more. She allowed dancers to write down words and take notes—a practice previously kapu in an oral-tradition society—and she was receptive of non-Hawaiian students. In 1971, the same year that the Merrie Monarch Festival premiered, Lake advertised for student candidates to join Papa ‘Ūniki Lehua. It was the first ‘ūniki class to occur in Hawai‘i since Lake’s own in 1946, says Ariyoshi, and it was named for the lehua flower—the first to bloom after a lava flow. 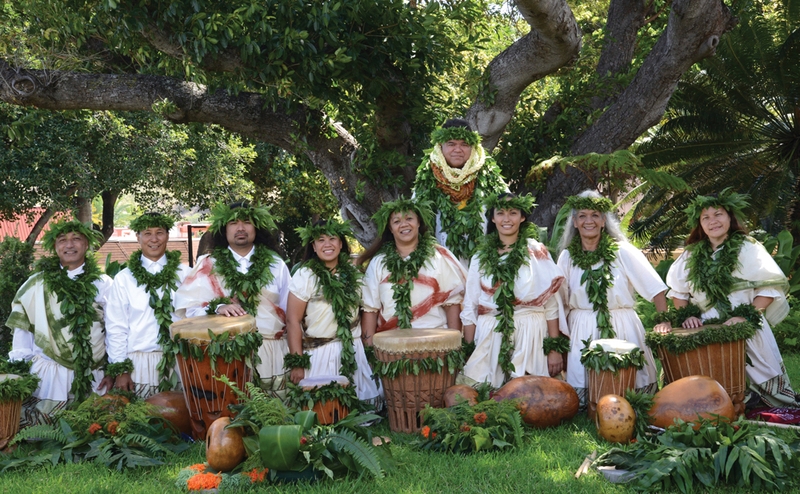 The Lehua class included notable names in the hula world: Kalena Silva, John Kaha‘i Topolinski, Leina‘ala Heine, Mapuana de Silva, Robert Cazimero, Lake’s daughter Coline Kaualoku Aiu and 20 others. In a 2011 survey by the PA‘I Foundation, 22 of the 71 respondents said they had not been through the process of ‘ūniki prior to becoming a kumu hula. Many of those respondents added, though, that they had the blessing of their kumu to teach, or that it was not a practice in their hula family. But, whether they graduate with a formal ‘ūniki or not, all hula instructors become foundations for their students and those dedicated teachers carry the unquestionable sense of kuleana to carry on the knowledge from their kumu. Some feel that it’s necessary to perpetuate and preserve hula from the past, while others desire to expand on what they’ve learned and add to it their own creativity. Kumu like Patrick Makuakāne (student of kumu hula Robert Cazimero; ‘ūniki 2003 with kumu hula Mae Kamāmalu Klein) are forward-looking, creating dramatic new hula built on the foundations they have learned. Makuakāne’s hālau, Nā Lei Hulu I Ka Wēkiu, founded in San Francisco in 1985, demonstrates a shift away from tradition in what is becoming known as hula mua. It uses contemporary music and a wider interpretation of its foundational hula moves and is understandably facing criticism. Nevertheless, it is a powerful way to expand the creative possibilities of hula, even as it steps away from traditional hula lineages. Kumu hula Mark Keali‘i Ho‘omalu is another innovator who offers presentations at Merrie Monarch with bombastic choreography that challenges the boundaries of tradition, and are oftentimes one of the unforgettable crowd favorites. element of any ‘ūniki tradition. Fresh graduate or seasoned professional, kāne or wāhine, whether formally bestowed with the title or not, each teacher carries the mantle, or kīhei, of responsibility. It’s this kuleana that ties them to their kumu hula, who is, in turn, tied to the teachings of the past, and bound to bring hula forward to the future generations. Catherine Tarleton’s article “The Ties That Bind Us” appears, along with 19 other previously published MANA Magazine articles, in the anthology MANA: A Journal of Hawai‘i. Original publication: April/May 2015 issue.